I don’t think gccgo trunk has received any of the standard library enhancements since 1 March 2013. Actually, I think the last update might have been on 29 January 2013. Very likely, I heard that gccgo 4.8.1 will receive the full Go 1.1 standard library. But the link has that issue labeled as “Go1.2Maybe”? 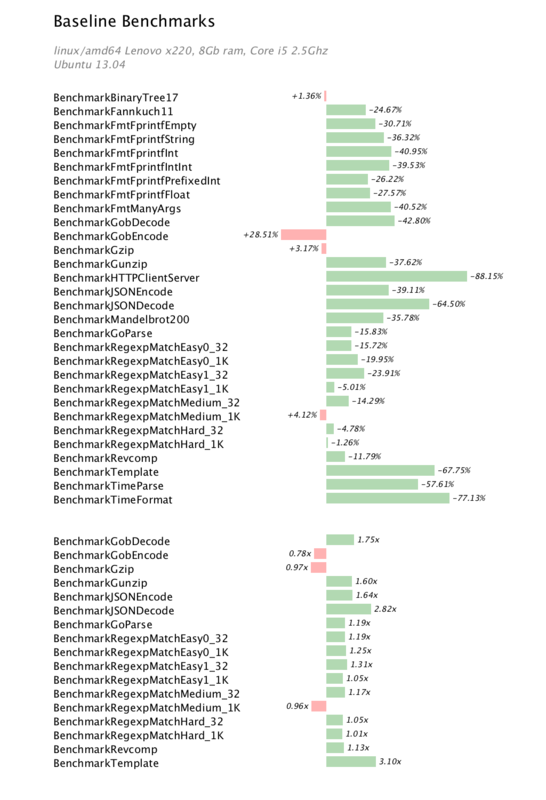 Very interesting results from benchmarks, thanks for the post !!!! “…it is clear that GobDecode and Gzip have regressed…” Typo? The chart indicates it is GobEncode that regressed. You are quite correct. Thank you, I have fixed the mistake. 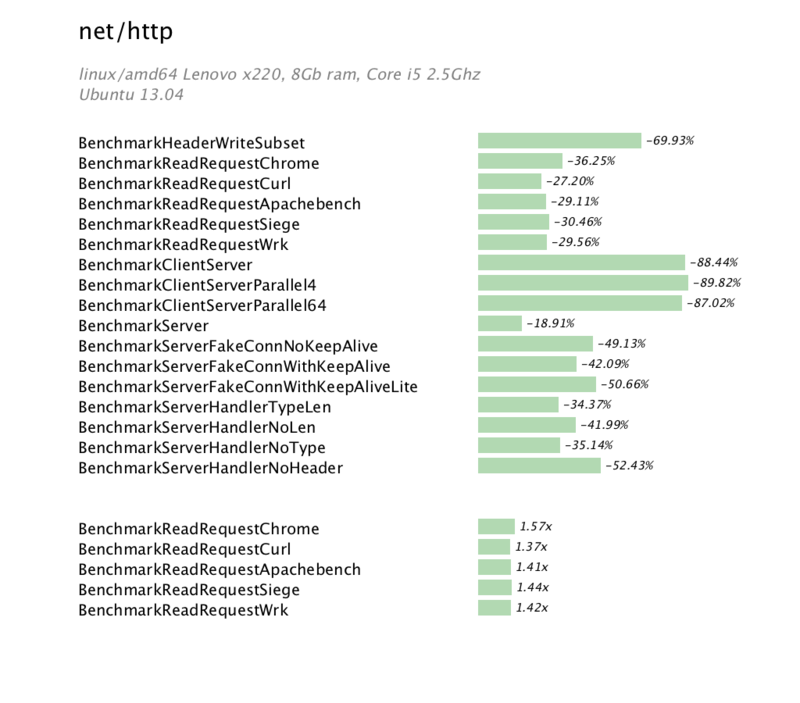 I looked at the Go language in a moderate amount of depth. Unfortunately there is nothing so much for desktop applications developers. The particular issue for me is dll access. For sure a bad programmer can turn shared library features into demonic hell. In the hands of a good programmer shared libraries are a super slick way of integrating code together in a neat and tidy way. DLL’s have well defined interfaces and are very clear and simple to use. This would allow Go to access GUI code for example. I know that Go does have some bonkers DLL access but that is a mess. Also the CGo mixed language metaphor is a horrible mess. Both could be replaced by intelligent shared library access built into the language itself. I think the Go language design team have made a fundamental mistake not allowing shared libraries and the language may not take off as a result.